One of the basic concepts of environmental compliance is the periodic tank inspection. Regardless of the type of material being stored, under federal or state environmental requirements, some type of periodic inspection is always required. These periodic inspections are like a tool with many functions, from simple monitoring to status checks to extensive compliance assurance evaluations. A frequently overlooked and under-performed area of periodic inspection is related to storage tanks and similar types of containers at industrial facilities. Tank inspection requirements typically cover multiple environmental areas, with the Clean Air Act (CAA), Resource Conservation and Recovery Act (RCRA), and Clean Water Act (CWA) through the Spill Prevention, Control and Countermeasures (SPCC) provisions contributing the bulk of the requirements. Although the specific requirements will vary based on the storage tank specifications, site-specific regulatory requirements, and other factors, there are several common requirements that pertain to most tanks. When preparing to perform a tank inspection at an industrial site, outside items other than just the physical storage tank need to be taken into consideration. IS COMPLIANCE IMPORTANT TO YOUR BUSINESS? Establishing a tank inspection program that includes a consolidation of all necessary applicable requirements detailed on the periodic inspection forms is the key to this concept of environmental compliance. Free of debris and/or water? Drain line valves closed/sump pumps off unless being emptied of clean water? Would the secondary containment retain its contents if a catastrophic failure occurred, such as a tank rupture? Are the concrete coating and joint compounds (if required) of good integrity? When was the last tank integrity inspection conducted? Does the general condition of the tank appear OK? Are there any signs of leakage, corrosion, deterioration or other damage? Is the general condition of the tank system ancillary equipment OK? Is the level monitor (if required/equipped) functional/working? Is the tank equipped with a mixer? Lock-out / Tag-out used as part of the tank cleaning process? Are all tanks/containers legibly labeled with contents? Are tanks being inspected per the tank design standards schedule? Have all applicable Plant Personnel been notified of storage tanks that are temporarily out of service? Has out of service storage tank been locked-out to prevent the adding of material? Periodic dated inspection records containing documentation of deficiency and corrective actions? Record retention meets regulatory requirements or the life of the tank? Documentation of secondary containment drainage of stormwater and the standard operating procedures of visually/testing water clarity prior to discharge? Employee training records for the management of tank/container spills and secondary containment discharges? Previous inspections, tank integrity testing and tank repairs? Qualifications/Accreditation of individual or entity conducting the inspection? API or applicable standards specified for inspection? Recorded interior tank conditions if an entry is required? Navigating through all the potential specific regulatory requirements for tank inspections at an industrial facility and consolidating them into a usable, real-world format can be a time consuming and cumbersome task. If not sufficiently versed in one or more environmental areas, applicable inspection requirements can be easily overlooked and thereby omitted from the compliance record. Establishing a tank inspection program that includes a consolidation of all necessary applicable requirements detailed on the periodic inspection forms is the key to this concept of environmental compliance. Facilities in many cases consult with environmental specialists to initially develop the inspection program as well as to periodically audit the program to make sure that all requirements continue to be met. Tradebe can assist facilities with their tank inspection program, as well as industrial cleanings, maintenance, and plant turnaround management. Tradebe’s primary objective for each project is to meet the technical requirements safely and efficiently while maintaining quality performance throughout the entire process. To learn more about this subject, or about Tradebe’s capabilities, contact us now to schedule a no-obligation consultation today. If you haven't yet, Subscribe Now… to get Tradebe's Safety content delivered to your inbox monthly. Also, be sure to Follow us on LinkedIn for weekly Safety messages and additional environmental industry content. We recently released the first edition in our Safety Poster series: "Top 10 Winter Safety Tips". If you didn't get a chance to download that poster to print and display for your team - we encourage you to Download it now. The following content was shared with you: https://www.tradebeusa.com/news/tank-inspections-101 Text Tank Inspection 101 One of the basic concepts of environmental compliance is the periodic tank inspection. Regardless of the type of material being stored, under federal or state environmental requirements, some type of periodic inspection is always required. These periodic inspections are like a tool with many functions, from simple monitoring to status checks to extensive compliance assurance evaluations. A frequently overlooked and under-performed area of periodic inspection is related to storage tanks and similar types of containers at industrial facilities. Tank inspection requirements typically cover multiple environmental areas, with the Clean Air Act (CAA), Resource Conservation and Recovery Act (RCRA), and Clean Water Act (CWA) through the Spill Prevention, Control and Countermeasures (SPCC) provisions contributing the bulk of the requirements. Although the specific requirements will vary based on the storage tank specifications, site-specific regulatory requirements, and other factors, there are several common requirements that pertain to most tanks. When preparing to perform a tank inspection at an industrial site, outside items other than just the physical storage tank need to be taken into consideration. IS COMPLIANCE IMPORTANT TO YOUR BUSINESS? Establishing a tank inspection program that includes a consolidation of all necessary applicable requirements detailed on the periodic inspection forms is the key to this concept of environmental compliance. Common Tank Inspection Logs include the following record-keeping ~ Secondary Containment Area Compliance Checklist: Free of debris and/or water? Drain line valves closed/sump pumps off unless being emptied of clean water? Structurally acceptable condition: Would the secondary containment retain its contents if a catastrophic failure occurred, such as a tank rupture? Are the concrete coating and joint compounds (if required) of good integrity? Storage Tank Compliance Checklist: When was the last tank integrity inspection conducted? Does the general condition of the tank appear OK? Are there any signs of leakage, corrosion, deterioration or other damage? Any visible signs of leakage or spillage from the associated ancillary equipment... Pumps? Piping? Flanges? other Fittings? Is the general condition of the tank system ancillary equipment OK? Is the level monitor (if required/equipped) functional/working? Is the tank equipped with a mixer? Lock-out / Tag-out used as part of the tank cleaning process? Are all tanks/containers legibly labeled with contents? Are tanks being inspected per the tank design standards schedule? Have all applicable Plant Personnel been notified of storage tanks that are temporarily out of service? Has out of service storage tank been locked-out to prevent the adding of material? Records On-hand and Readily Available Compliance Checklist: Periodic dated inspection records containing documentation of deficiency and corrective actions? Record retention meets regulatory requirements or the life of the tank? Documentation of secondary containment drainage of stormwater and the standard operating procedures of visually/testing water clarity prior to discharge? Employee training records for the management of tank/container spills and secondary containment discharges? Previous inspections, tank integrity testing and tank repairs? Qualifications/Accreditation of individual or entity conducting the inspection? API or applicable standards specified for inspection? Recorded interior tank conditions if an entry is required? Navigating through all the potential specific regulatory requirements for tank inspections at an industrial facility and consolidating them into a usable, real-world format can be a time consuming and cumbersome task. If not sufficiently versed in one or more environmental areas, applicable inspection requirements can be easily overlooked and thereby omitted from the compliance record. Establishing a tank inspection program that includes a consolidation of all necessary applicable requirements detailed on the periodic inspection forms is the key to this concept of environmental compliance. Facilities in many cases consult with environmental specialists to initially develop the inspection program as well as to periodically audit the program to make sure that all requirements continue to be met. Tradebe can assist facilities with their tank inspection program, as well as industrial cleanings, maintenance, and plant turnaround management. Read more about these and other industrial services performed by Tradebe Tradebe’s primary objective for each project is to meet the technical requirements safely and efficiently while maintaining quality performance throughout the entire process. To learn more about this subject, or about Tradebe’s capabilities, contact us now to schedule a no-obligation consultation today. “Be Safe - Work Safe. Safety is No Accident!” Tita LaGrimas, EVP of Regulatory Affairs, Tradebe USA #TankInspections #TankLogs #BeSafeWorkSafe #SafetyisNoAccident #SafetyCulture #SustainabilityAtWork Resources: Clean Air Act (CAA), Resource Conservation and Recovery Act (RCRA), Clean Water Act (CWA), Spill Prevention, Control and Countermeasures (SPCC), Tradebe Cleaning and Maintenance Services, Industrial Field Services _____________________________________________________________________________________________________ Our goal is to not only keep Safety and Compliance in the forefront of what we do at Tradebe - but to also share our philosophy for the benefit of others! Ideas or requests for future Safety or Compliance topics? Email us at us.communications@tradebe.com If you haven't yet, Subscribe Now… to get Tradebe's Safety content delivered to your inbox monthly. 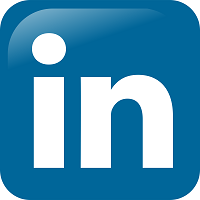 Also, be sure to Follow us on LinkedIn for weekly Safety messages and additional environmental industry content. We recently released the first edition in our Safety Poster series: "Top 10 Winter Safety Tips". If you didn't get a chance to download that poster to print and display for your team - we encourage you to Download it now. Temperatures are Falling - Stay Safe! Accident Investigation: Root Cause and Corrective Actions are a must! Tradebe's New Safety Slogan - What Does It Mean? “Be Safe - Work Safe. Safety is No Accident!” Why so Safety-centric at Tradebe?